First, make sure you've signed up for Happy Checkout in the Shopify App store. 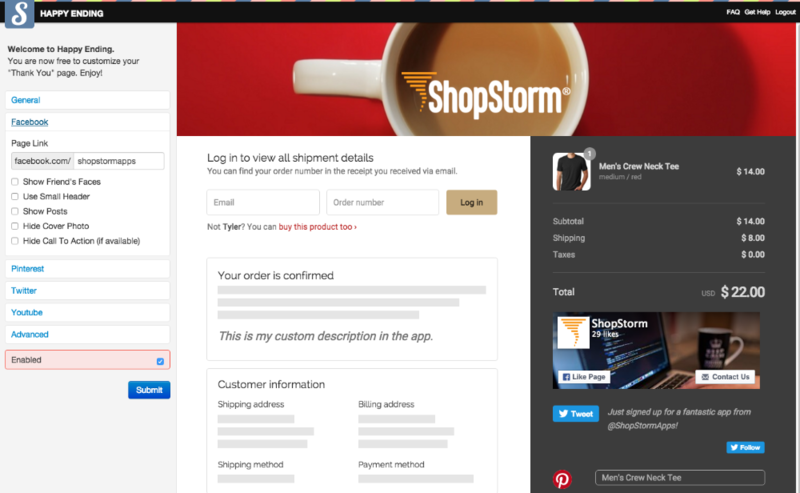 Once you've signed up for the app, you'll be able to gain access to Happy Checkout in your Shopify Admin under "Apps". You can then start improving your customer experience to reflect your brand! Once you click on "Happy Checkout" under "Apps" and enter your store URL (again, you must be logged into your store), you'll be able to access the Happy Checkout admin and customize your Thank You page. Don't forget to enable the app once you're done customizing :).